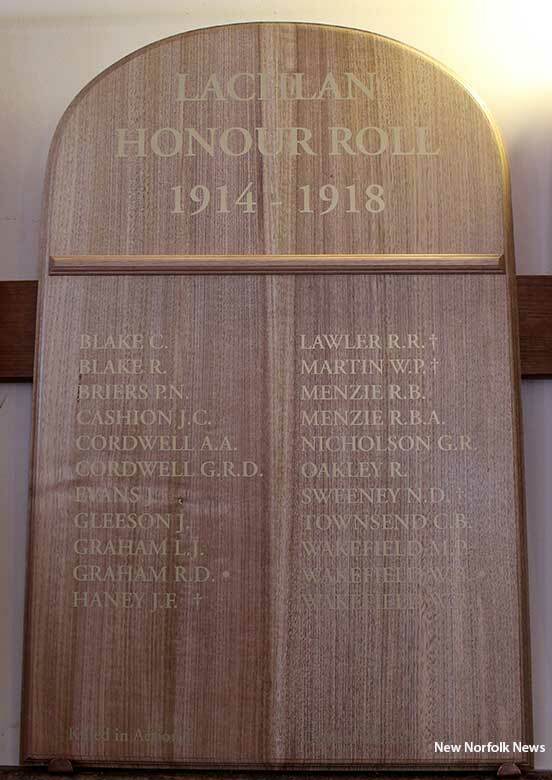 of the new honour roll in the Lachlan Hall. AN honour roll recording the names of 22 servicemen from the Lachlan district was unveiled at a special Remembrance Day service this morning. 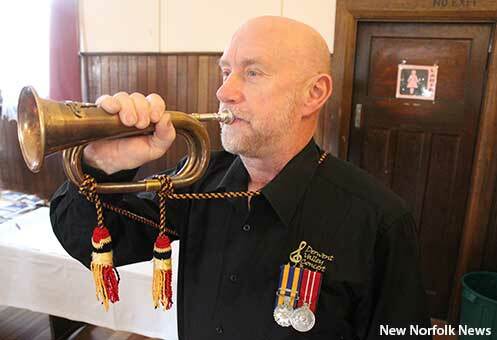 Representatives of the army, air force, local council and community attended the gathering at the Lachlan Community Hall, which may have been the first Remembrance Day service held in the village. Speaking during the service, local historian Tony Nicholson OAM said the event was commemorating both the 80th birthday of the community hall and the unveiling of the honour roll to remember the men of the area who served in World War I.
Lachlan Community Hall this morning. 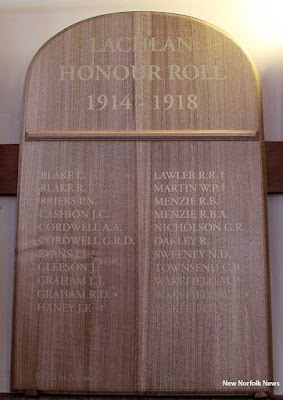 Mr Nicholson said research had so far identified 22 men from the immediate area who had volunteered for service in World War I and further inquiries were being made into possible additions to the roll. 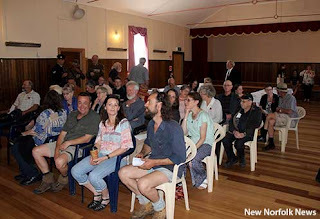 The initial list was researched by Mr Nicholson and fellow local historian Stanley Cordwell. Mr Nichoson noted that in most cases the men signing up from Lachlan during World War I were second-generation Australians. 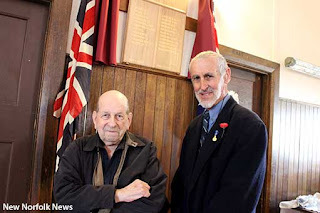 "Not all returned home at the end of the war," Mr Nicholson said while noting that the honour roll included those who had enlisted as well as those who were killed in action or died of their wounds. 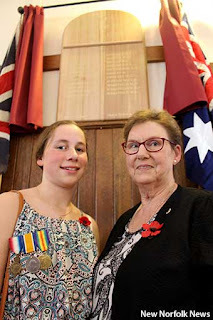 Many in the audience were descendants of men named on the honour roll, including former local resident Sue Beard and her grand-daughter Claire Farr, 13, who are the great-niece and great-great-great-niece of Joseph Haney who was killed in action, aged 32, and has no known grave. Private Haney is named on the Villers-Bretonneaux Memorial in France.